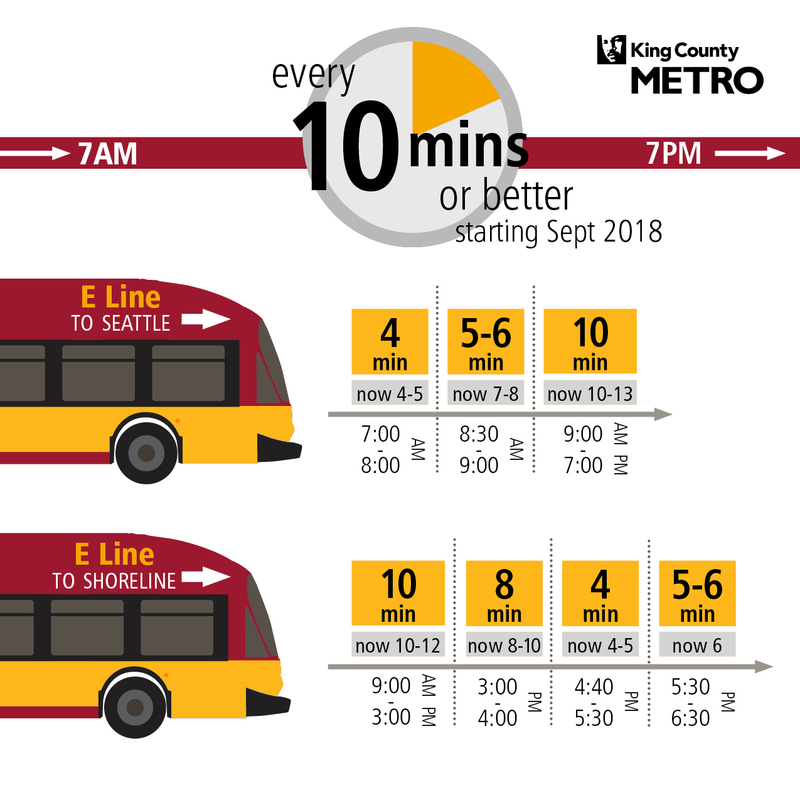 Starting this September the frequency of the E Line, in addition to many other regional bus lines, will be increased. This change is happening thanks to a partnership between Amazon, the City of Seattle, and King County Metro. This will be a particularly welcome addition over the next few years as the recent closure of the Convention Place Station reroutes our other popular bus line into downtown: the 41 - leading to possible delays until the light rail construction is complete. This change will positively affect many as the E Line is Metro’s highest-ridership route with more than 17,000 weekday riders.